Does your Bristol home have a pigeon pest problem, we can help you identify pigeon pests or control your home pigeon situation. Feral pigeon pests in the Bristol area can be a real nuisance to the residential home owner. Pigeons can cause all sorts of damage to a residential dwelling. These bird related problems can take the form of damage to your domestic property through guano droppings, pigeon nesting can cause noise disturbance, structural damage to your property through pigeon nesting and sometimes more seriously the spread of disease from pigeon vermin. These latter issues can lead to home health problems from compromising your food hygiene, through to bacteria carried by the pigeon pests. 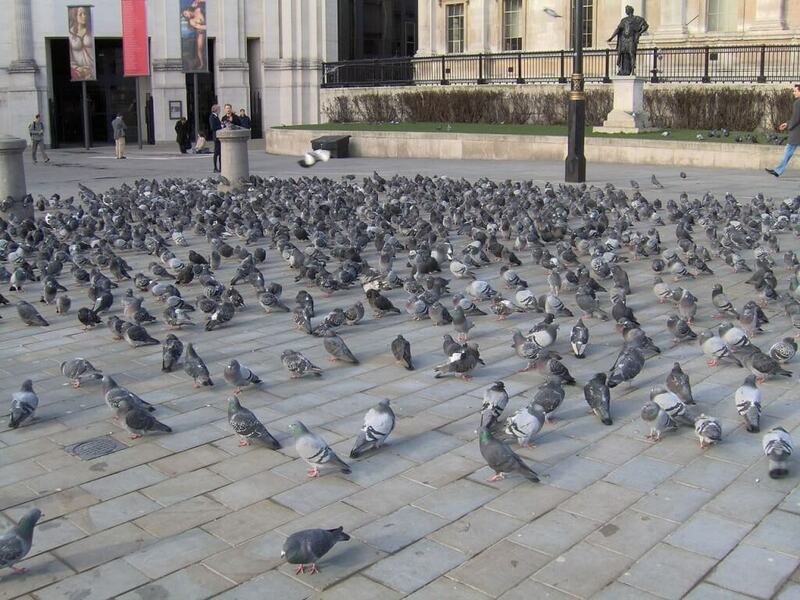 Pigeons also spread and carry other insect pest parasites, like fleas, mites and ticks. These other pests can be dropped via pigeons nesting in chimneys and then infest your home. What can we do to prevent or control your pigeon pest problem around your residential home? We offer ethical & humane pigeon control services through pest control techniques like domestic pigeon proofing, home pigeon scaring, electric pigeon deterrent mechanisms, audio domestic pigeon deterrent and we can clean pigeon droppings/guano from your domestic residence. We have even be known to set up and use controlled rockets and kites to help deter residential pigeon problems.